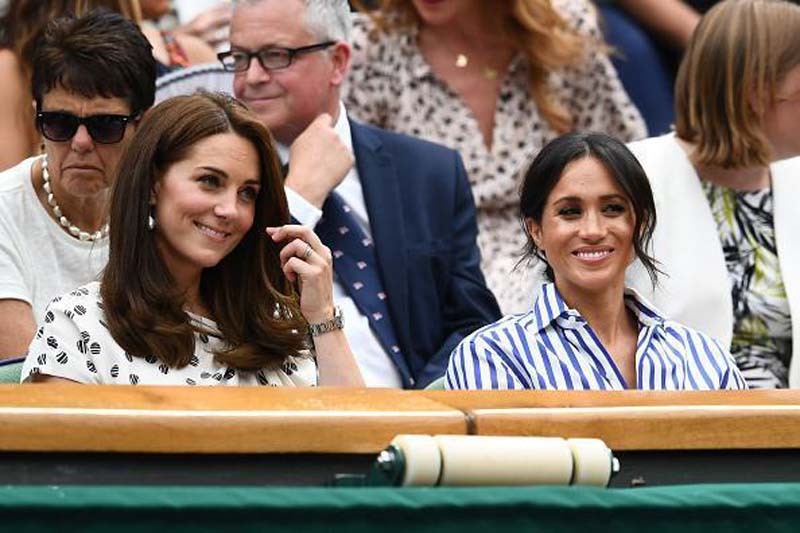 erena Williams' speech moved Kate Middleton and Meghan Markle. [post_ads]According to Us Weekly, the Duchess of Sussex teared up as her good friend, Williams, gave an emotional speech after her Wimbledon loss on Saturday. Angelique Kerber won the match 6-3, 6-3. People added that the two duchesses were visibly moved as they listed to Williams. In her speech, the tennis player said that she was playing on behalf of moms. "It was such an amazing tournament for me. I was really hoping to get this far," Williams said. "It's obviously disappointing, but I can't be disappointed. I have so much to look forward to. I'm literally just getting started. To all the moms out there, I was playing for you today and I tried." Williams and Markle are good friends. Their friendship began when they both played a game of flag football on DirecTV's Celebrity Beach Bowl. They immediately hit it off. In fact, Markle called Williams her "confidante." "She quickly became a confidante I would text when I was traveling, the friend I would rally around for her tennis matches, and the down to earth chick I was able to grab lunch with just a couple weeks ago in Toronto," Markle said of Williams. Williams was among Prince Harry and Markle's guests at their royal wedding in May. The two ladies were spotted together at the Audi Polo Challenge on June 30. On the other hand, Williams said earlier that she finds the Duchess of Cambridge the strongest woman she knows. In an interview with InStyle for its first-ever Badass Women issue, Williams was asked which celebrities belong to the category. She mentioned two singers and wrapped up her list with Middleton on the first spot. "Well, obviously Beyoncé. That goes unsaid. Rihanna goes unsaid. Kate Middleton!" Williams said. According to the athlete, she couldn't imagine how the Duchess of Cambridge put her makeup on and stepped out just hours after her delivery for Prince Louis' public debut. For this reason, she considered Middleton the toughest. "No. And she was … standing!" Williams said, laughing. "Me too! So she's officially No. 1." Middleton had a speedy recovery when she delivered Prince George and Princess Charlotte, too. The duchesses usually spend less than 12 hours in the hospital because she knows that her presence would cause frenzy outside the hospital.